IR’s Jamier Felton shovels a pass to a teammate against Cape Henlopen last season. The wins continue to increase with each passing year since head coach B.J. Joseph took over the Indian River High School boys’ basketball program. Now in his fourth season at the helm, Joseph is looking for his troops to take the next step in the process. That continued improvement lies in the hands of six returning varsity players, including All-Conference and All-State selection Jamier Felton. The 6-foot-1 senior guard was a first-team HAC recipient last year, and his efforts also garnered him honorable mention in the state at the Division II level. Joining him are classmates Antonio Jones (6-1), Kashid Waples (6-4), Michael Meehan (6-0) and James Jones (5-10), as well as sophomore Luke Webber (6-5). The Indians will also be counting on three newcomers to the tribe. Senior Zion Mason is a 6-foot guard, while freshmen Malachi Water (5-11) and Matt Engle (6-1) will provide depth at the guard and wing positions. IR opens the 2018-2019 campaign with its home Tip-Off Classic, with games against Worcester Prep (Nov. 30, 6 p.m.) and Delmarva Christian (Dec. 1, 6:30 p.m.). They will then hit the road for five of their next six contests, before the annual Governor’s Challenge over the Christmas break. 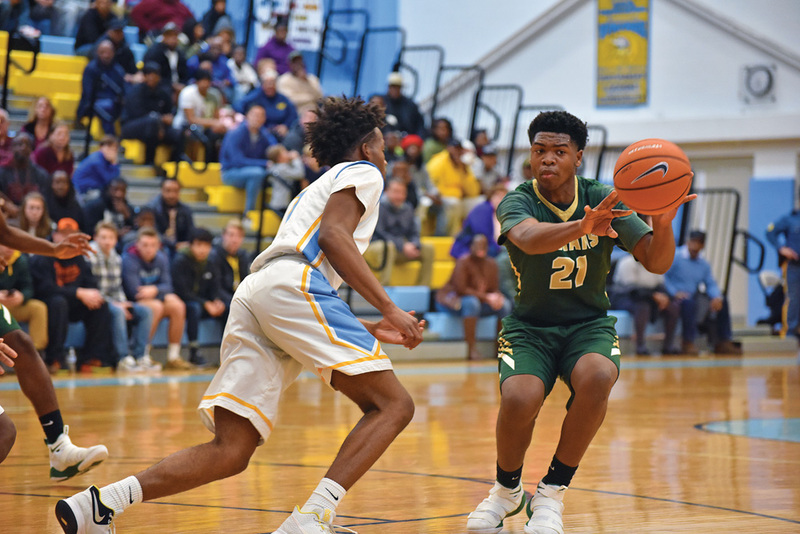 The boys’ squad bowed out of the state playoffs in the first round last year, to South Division champ Woodbridge, who wound up losing in the conference title game to Smyrna. The Indians had a seven-game winning streak during the middle part of the season last year and had won five of their last six games before heading into the state playoffs.